(Ottawa, ON) On Friday, September 25, Walking With Our Sisters opened at the Carleton University Art Gallery and will be there until October 16, 2015. 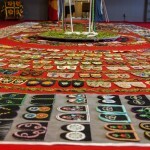 Walking With Our Sisters is a massive commemorative art installation comprised of 1,763+ pairs of unfinished moccasin plus 108 pairs of unfinished children’s moccasins created and donated by hundreds of caring and concerned individuals to draw attention to the reported missing and murdered Indigenous women, some of which could be Two-Spirit and trans* women. 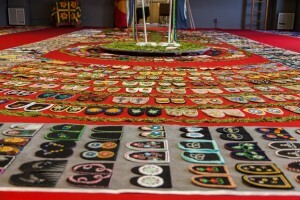 Each pair of vamps (the “uppers” of moccasins) represents one missing or murdered Indigenous woman. 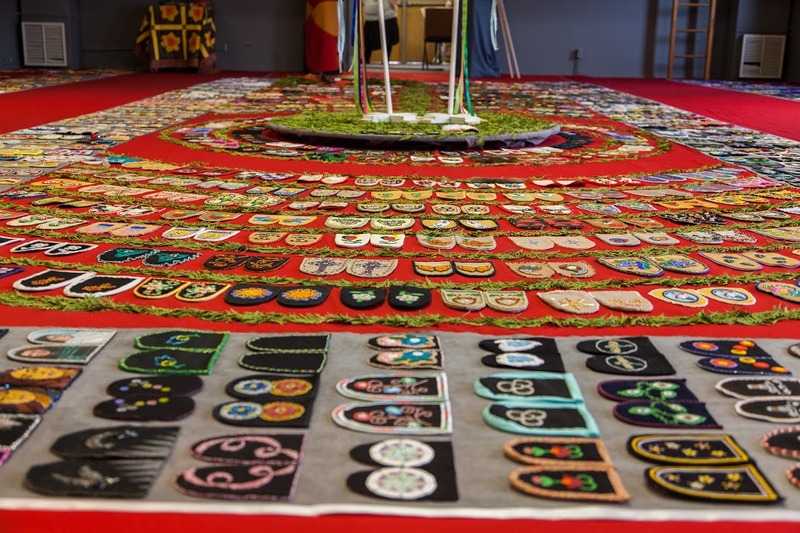 The unfinished moccasins represent the unfinished lives of the women whose lives were cut short. The children’s vamps are dedicated to children who never returned home from residential schools. Together the installation represents all these women; paying respect to their lives and existence on this earth. They are not forgotten. They are sisters, mothers, aunties, daughters, cousins, grandmothers, wives and partners. They have been cared for, they have been loved, they are missing and they are not forgotten. 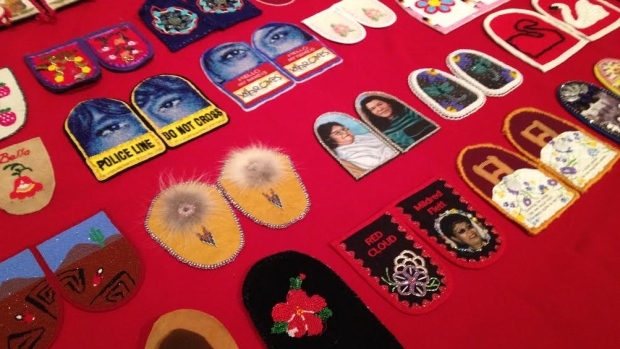 “This installation is important because not enough is done to acknowledge our missing and murdered Indigenous women especially when it comes to our Two-Spirit and Aboriginal trans* women,” said Sharp Dopler (Cherokee/Sauk and Fox), an organizer and keeper of this exhibit. Sharp continues, “This inclusion is what is needed for real social change. There are many spaces that are not welcoming to our Two-Spirit people both on our reservations and in urban spaces; Walking With Our Sisters has no barriers everyone is welcome!” Over 1,181+ native women and girls in Canada have been reported missing or have been murdered in the last 30 years. Many vanished without a trace with inadequate inquiry into their disappearance or murders paid by the media, the general public, politicians and even law enforcement. This is a travesty of justice. Walking With Our Sisters will be on display at the Carleton University Art Gallery from September 25 through until October 16, 2015. Then it will go onto Akwesasne First Nation from November 6 to 26, 2015. Walking With Our Sisters launched in late 2013 and currently has dates through 2019. 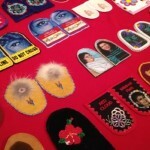 For an exhibit schedule, go to http://walkingwithoursisters.ca/events.